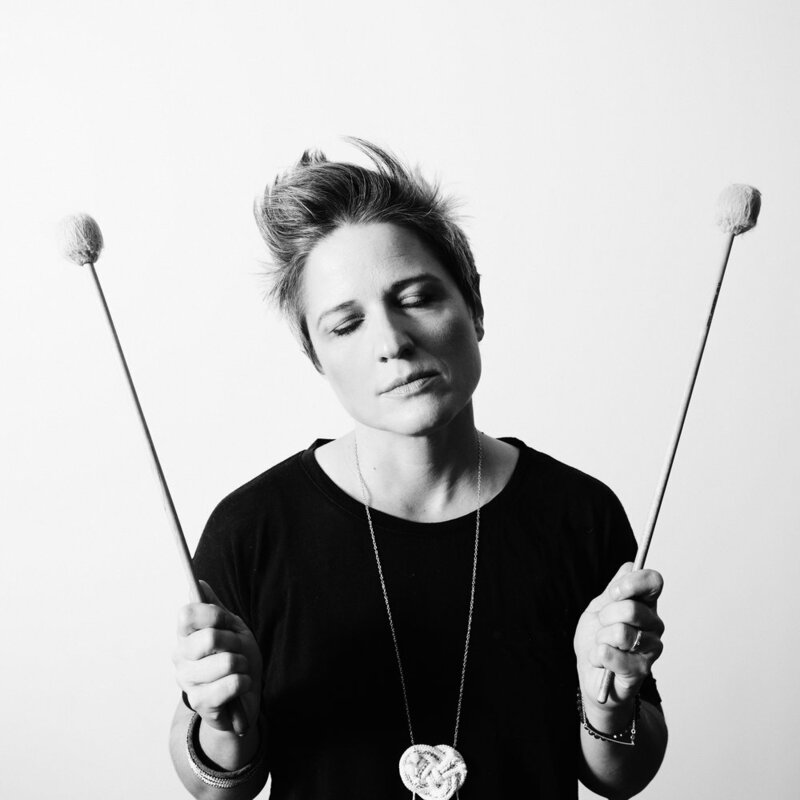 NYC-based drummer/composer/teacher Allison Miller gathers inspiration from a wide array of genres. Coming from the Jazz tradition, she engages her deep roots in improvisation as a vehicle to explore all music. Described by critics as a charismatic and rhythmically propulsive drummer with melodic sensibility, Miller has been named “Rising Star Drummer” and “Top 20 Jazz Drummers” in Downbeat Magazine’s acclaimed Critics Poll. Her band, Boom Tic Boom, is a 2014 recipient of Chamber Music America’s “Presenter Consortium for Jazz Grant” and is proudly sponsored by Mid- Atlantic Arts Foundation. Previous releases include 5am Stroll (2005), Boom Tic Boom (2010), Live at Willisau (2012), and No Morphine No Lilies (2013) -“No Morphine No Lilies demonstrates that her (Allison Miller) craftiness as a percussionist is met by her ingenuity as a composer and group conceptualist.” -The New Yorker. Boom Tic Boom has been met with critical acclaim receiving 4.5 stars from Downbeat and making “Top 10 Jazz Albums” lists for Downbeat, The LA Times, Jazz Journalists Association, and Something Else. The band has been featured on WNYC’s New Sounds with John Schaefer, NPR’s Tiny Desk Concert series with Bob Boilen, JazzSet with Dee Dee Bridgewater, The Checkout: Live with Josh Jackson, and festivals such as Stanford Jazz, SF Jazz, Willisau, Saalfelden, Iowa City Jazz, Reykjavik Jazz, Ear Shot-Seattle, Mary Lou Williams- Kennedy Center, Edgefest, Mass Moca, Pioneer Valley, and Redwood Jazz Alliance. Celebrate and Holler and Bam with Toshi Reagon, Honey Ear Trio with Jeff Lederer and Rene Hart, Speak with Rachna Nivas and Michelle Dorrance, And Still You Must Swing with Dormeshia Sumbry-Edwards, and Ink with Camille A. Brown. She is also a proud member of the Bessie award winning show, The Blues Project with Dorrance Dance and Toshi Reagon’s Big Lovely. 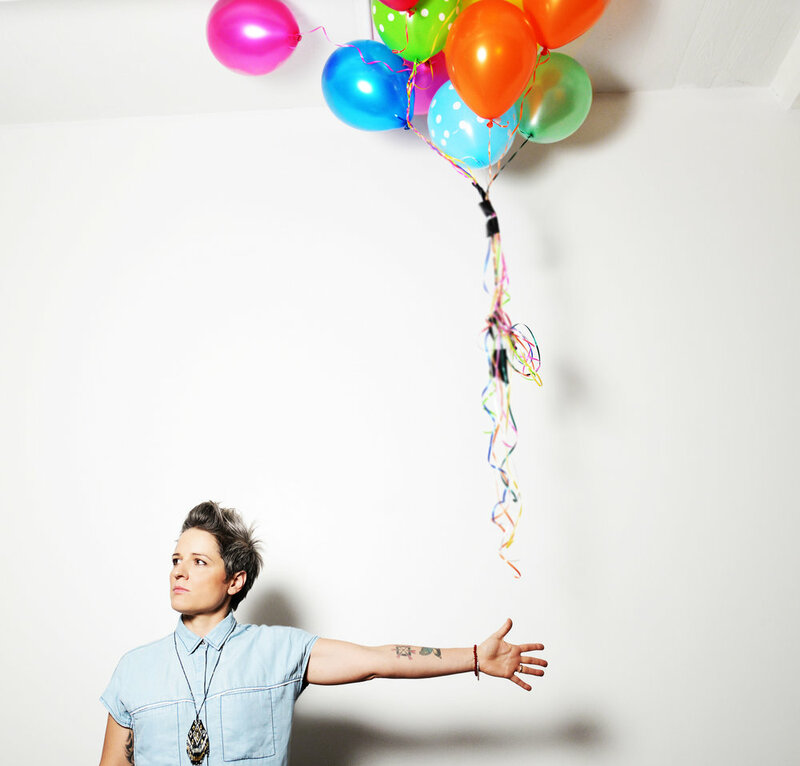 As a side-musician, Miller has been the rhythmic force behind such mainstream artists as Ani DiFranco, Natalie Merchant, Brandi Carlile, Toshi Reagon, Joey Arias, the Meredith Vieira Show, Late Night with Seth Meyers, Pino Daniele, Erin McKeown, Jill Sobule, and Martha Redbone; and her jazz skills have been embraced by everyone from organ legend Dr. Lonnie Smith and vocalist Patricia Barber to avant-garde trailblazer Marty Ehrlich, Steven Bernstein, Ben Allison, Steve Cardenas, and Ben Goldberg. Miller is a three time Jazz Ambassador of the US State Department and is on Yamaha’s Top 30 Clinicians List. She conducts clinics and master classes throughout the world and teaches at The New School for Jazz and Contemporary Music, Stanford Jazz Workshop, and Jazz Camp West. Her lessons and writings have been published in The Huffington Post, Modern Drummer, Jazz Times, DRUM, Tom Tom, and Drummer UK. In 2008 Miller founded the Walter Salb Memorial Musical Scholarship Foundation in honor of her late teacher and mentor. The foundation annually provides a monetary award to a promising young musician directed toward furthering their studies in music. Miller endorses Yamaha drums, Zildjian cymbals, Vic Firth sticks, and Evans drumheads. Allison Miller has been teaching jazz drumming for 20 years. She holds adjunct teaching positions at The New School, Kutztown University, and Jazz Camp West. Allison also teaches privately, gives percussive master classes, and leads big band instructional clinics. She has been a guest artist conducting master classes, clinics, and workshops nationally and internationally – including NYU, UMASS Amherst, Música Moderna i Jazz, Música Creativa Madrid, Laula de Música Moderna i Jazz, Denver School of the Arts, University of Michigan, SF Jazz Center, Berkeley Jazz School, Cornish College, Reed College, University of Wisconsin, University of Washington, Wichita State University, San Diego State, University of Northern Colorado, University of Colorado, Colorado State University, Metropolitan State, University of Alaska, Elon University, University of Southern Florida, West Virginia University, University of the Pacific, UC Berkeley, Bryn Mawr, and University of Maryland. She studied from the great Walter Salb, Michael Carvin, and Lenny White. Allison’s instructional lessons have been published in Modern Drummer Magazine, DRUM Magazine, TomTom Magazine, and Yamaha All Access 360. She is on Yamaha’s Top 30 Clinicians List. Allison believes that developing a solid rhythmic foundation begins on the ride cymbal. And, she believes in keeping it simple, starting with repetition of quarters notes. This repetition allows the student to understand the organics of drumming: pulse, time, motion, vibration, air movement, and the space in between the notes. From there she delves into four-way independence, rudimental technique, melody, feel, phrasing, improvisation, individual sound, and personal style. Allison always encourages her students to listen to the great jazz musicians of the 20th century and often assigns transcription projects. Allison’s clinics are supported by Yamaha, Zildjian, Vic Firth, and Evans.